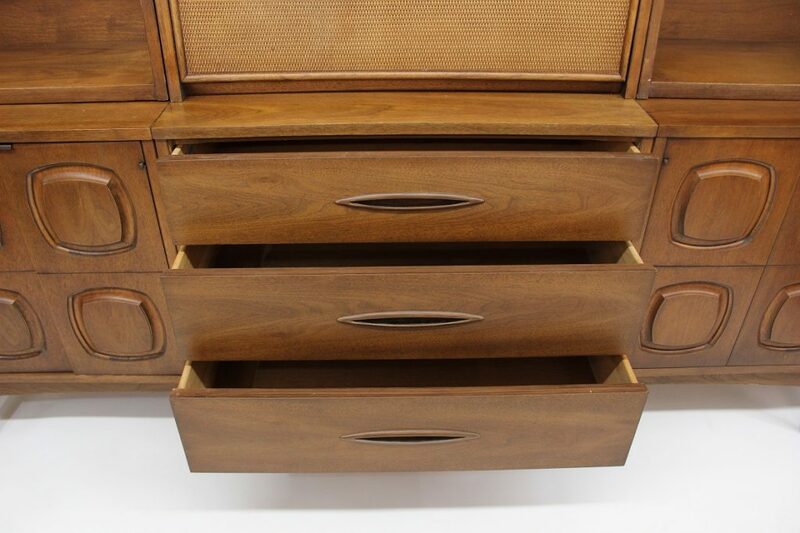 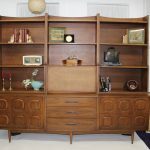 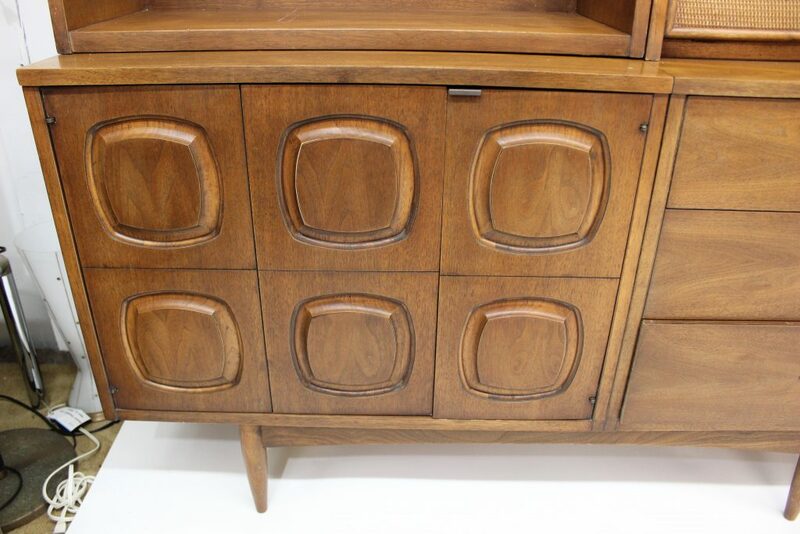 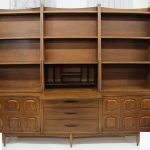 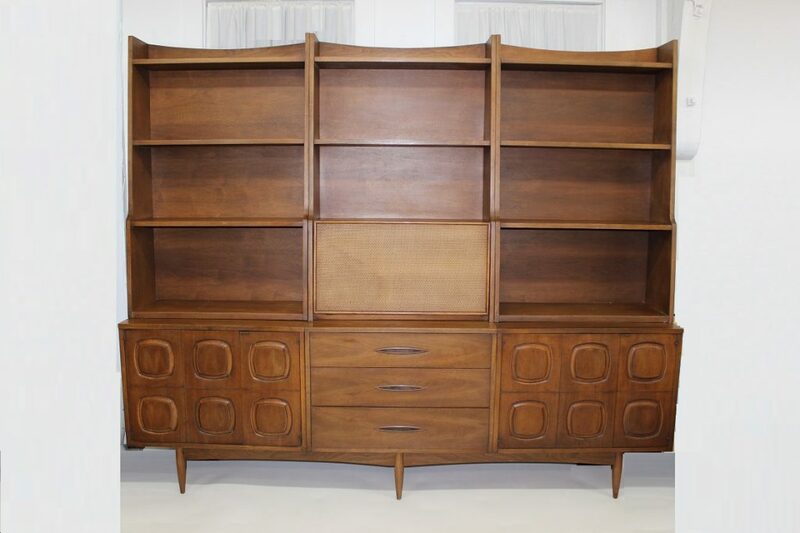 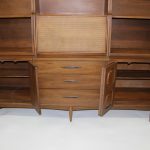 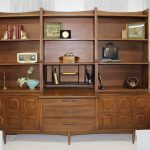 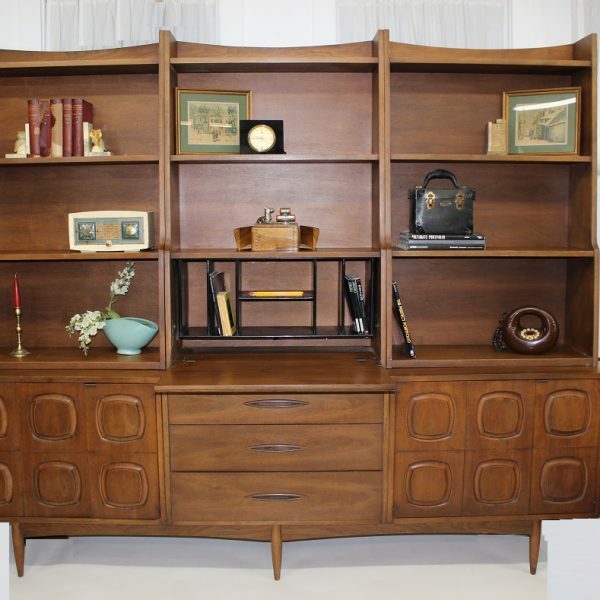 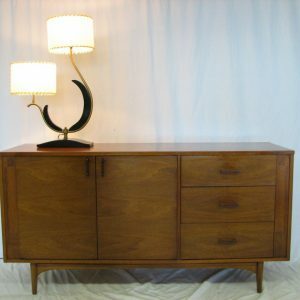 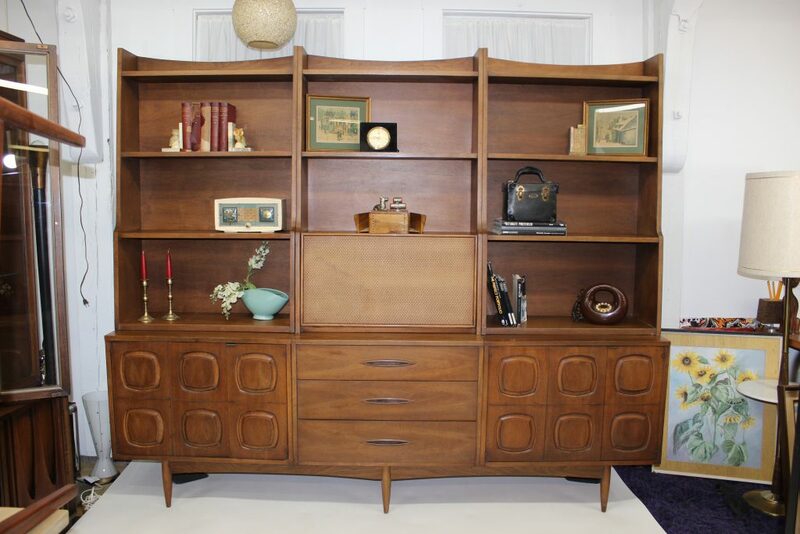 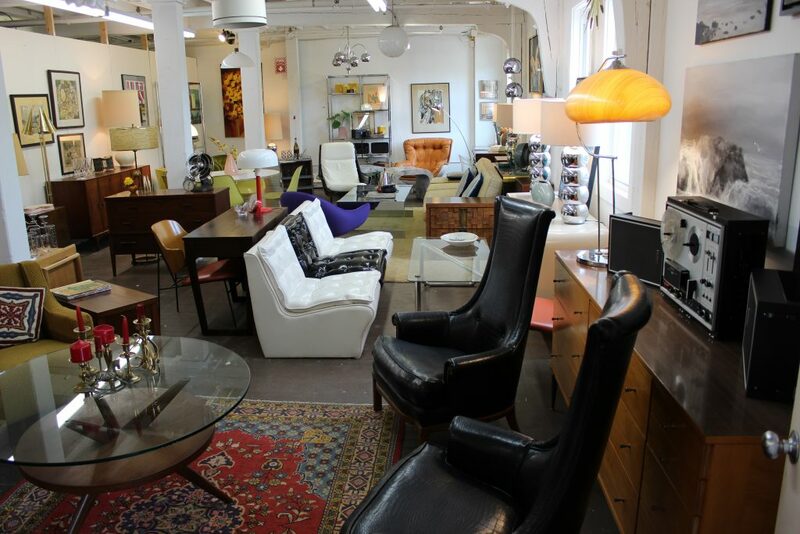 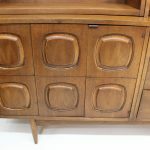 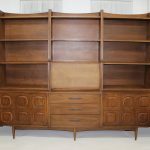 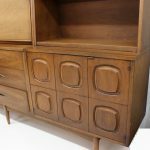 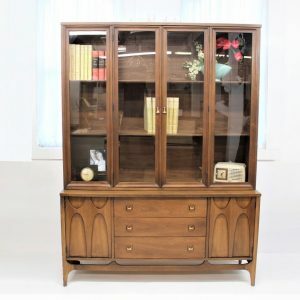 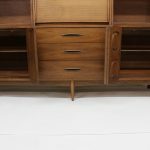 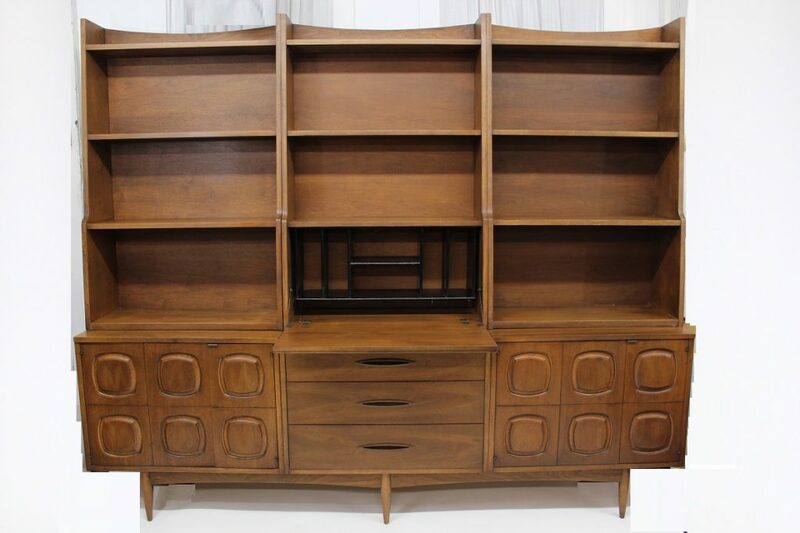 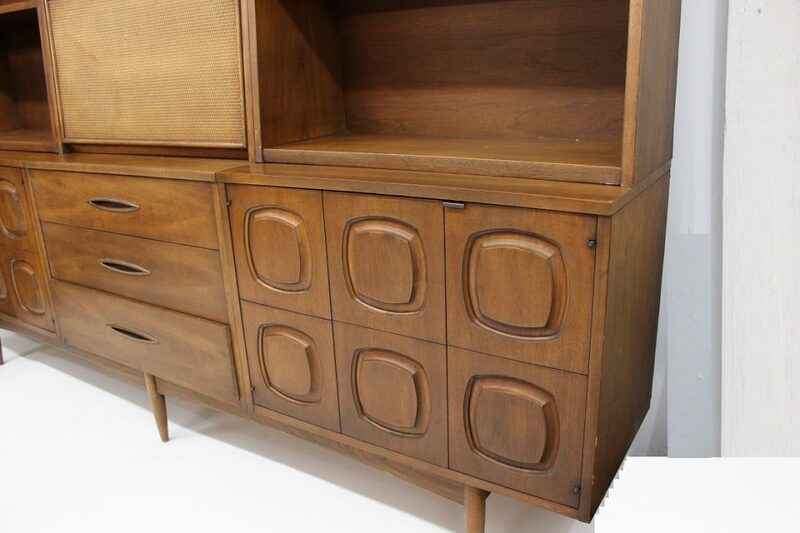 Take a look at this super rare Mid Century Modern Broyhill Sculptra wall unit. 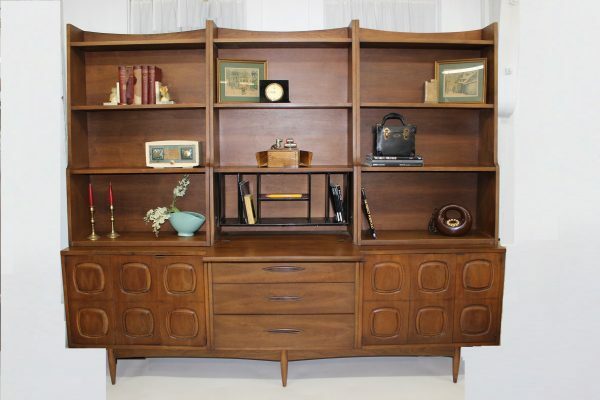 This free standing large case piece comes to you in original condition. 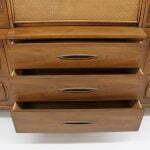 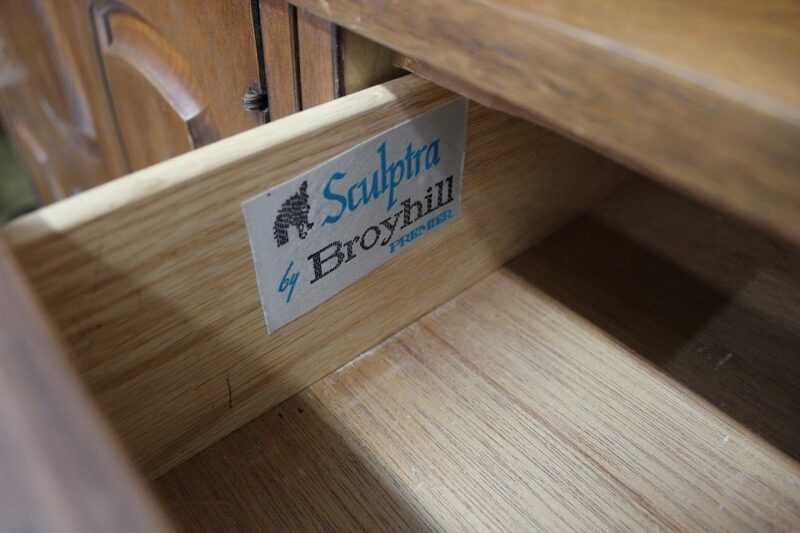 The label inside the first of 3 drawers reads Sculptra by Broyhill Premier. 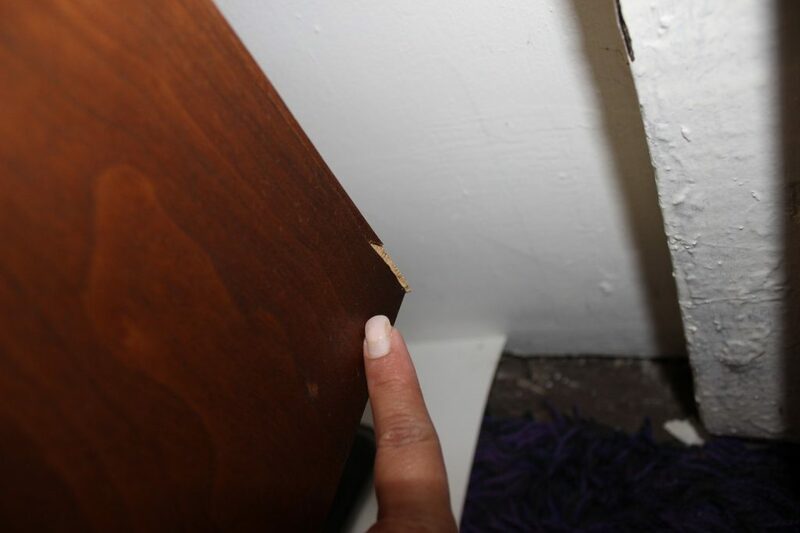 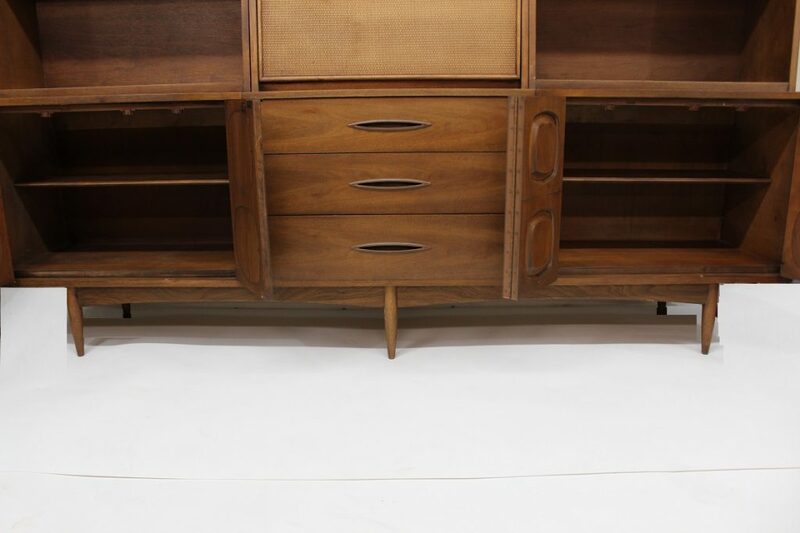 This piece comes apart in 7 pieces, the two on the lower sides are 2 very roomy cabinets with a shelf in the middle. 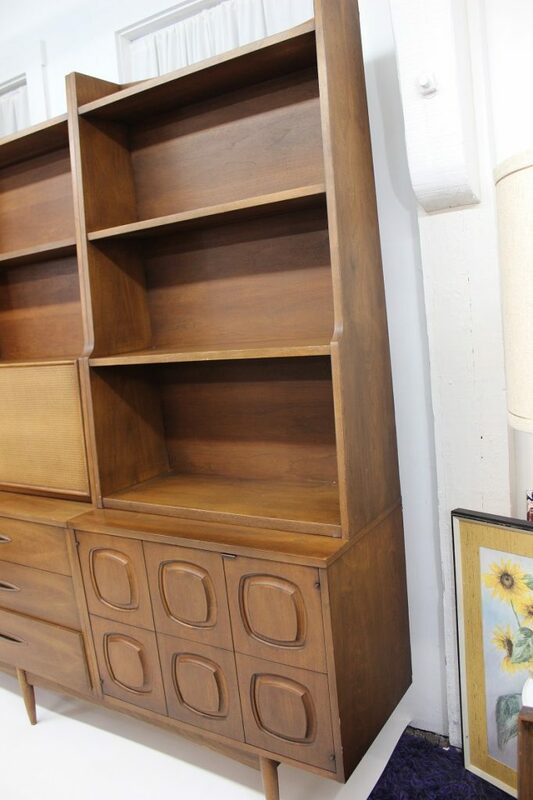 The open bookcases on the top will help you display all of your accessories and wonderful nick-nacks. 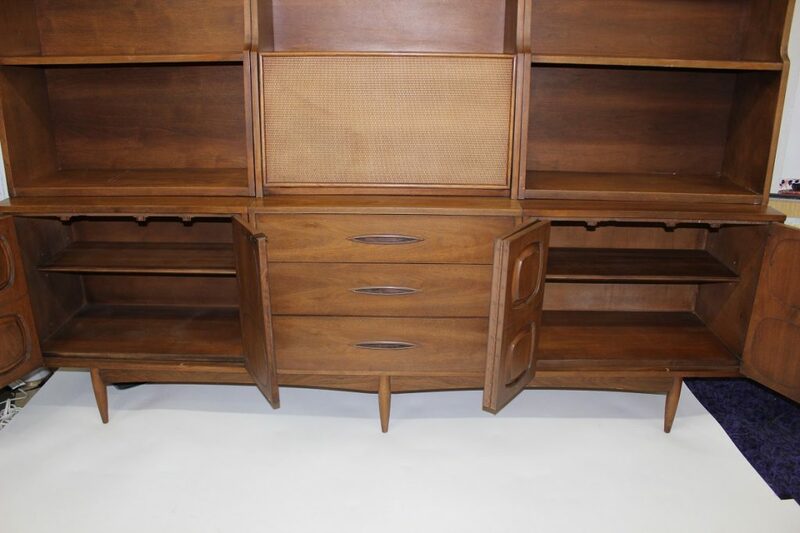 The one in the middle has a drop front desk so you can put away your work or your bills. 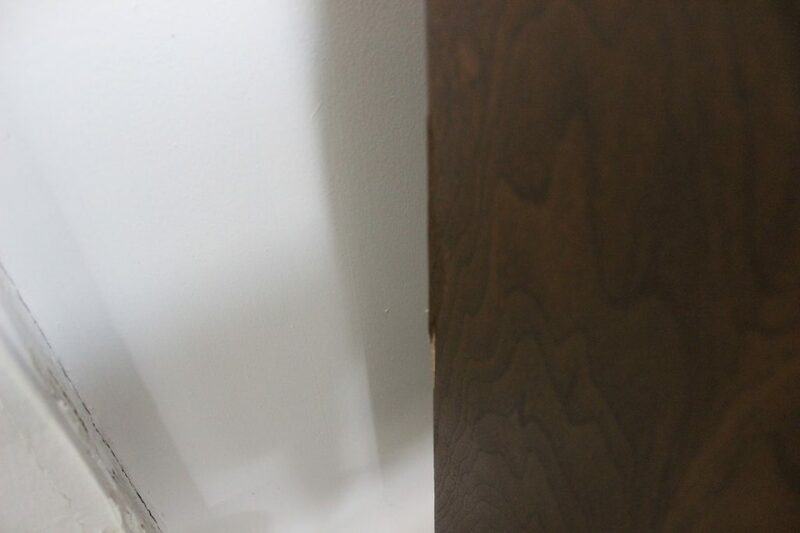 Some minor imperfections are visible on the edges of the back but nothing too distracting. 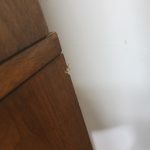 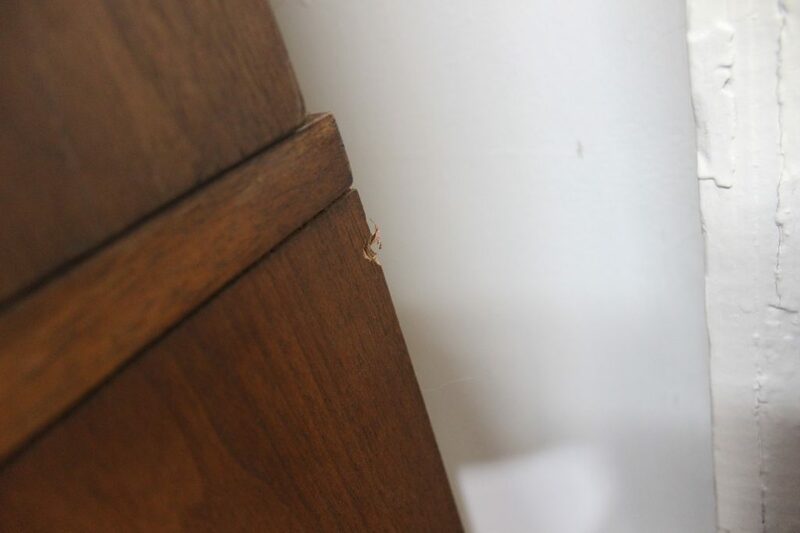 The rattan cover on the door of the desk has a faint water-mark. 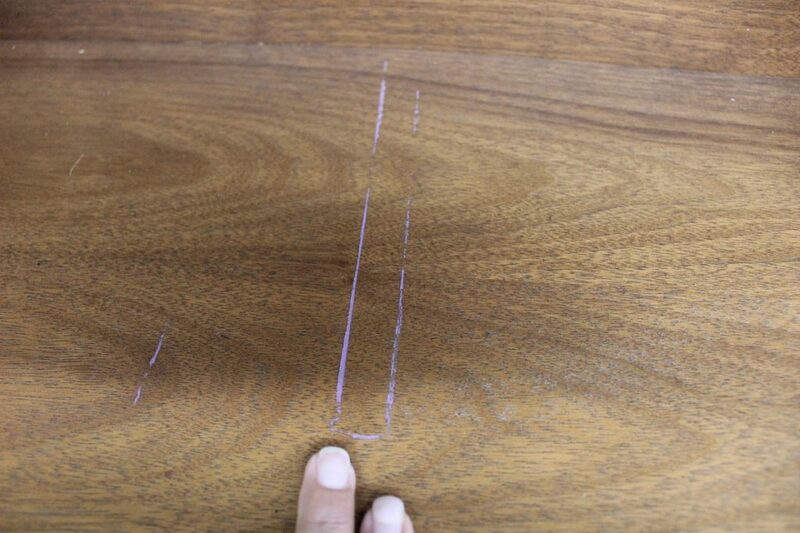 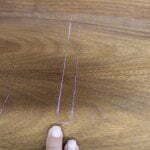 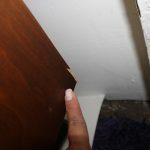 And the last thing to note is a paint line on one of the shelves. 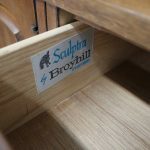 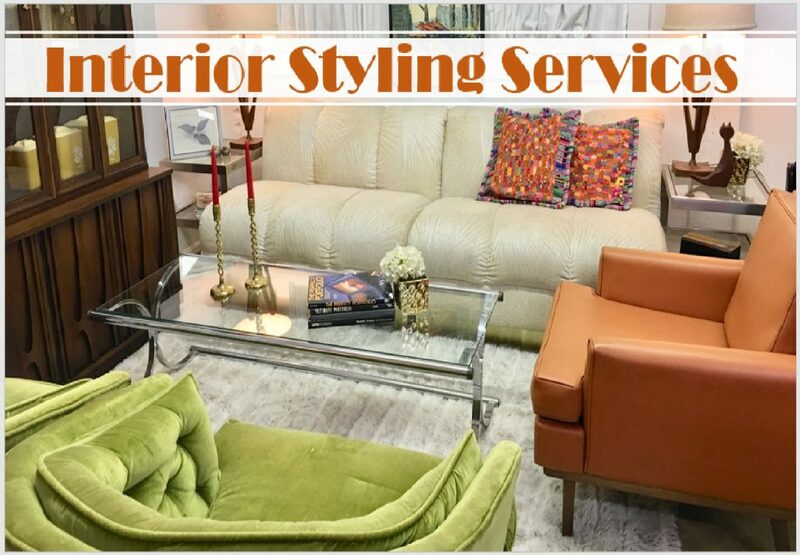 It will be covered when you add your accessories or you can softly sand it off. 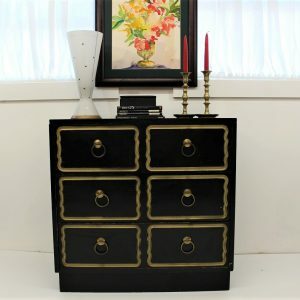 In any case, this super rare piece can be in your home within a few days and in time for all the happy times that the holiday season brings. 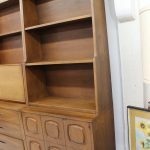 Measurements: 94″ x 31″ x 17″ deep at the base. 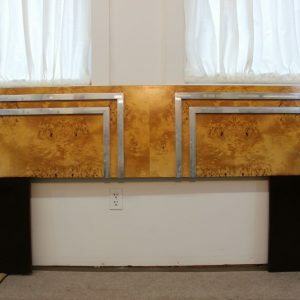 The tops are 48″ high and 12″ at the bottom and 8″ deep at the top.